Either of the parents can apply to the Magistrate’s Court where the children reside for a variation of the current maintenance order, but only if circumstances change. Examples will be if the father for instance, loses his job or remarries; and, in the mother’s case, where a child may need special care (occupational therapy). It was decided in previous cases that where a father remarries and then has to support a “second” family, this financial obligation shouldn’t impact negatively on his “first” family. A father may not raise a defence that the needs of his second wife is a reason to reduce maintenance in respect of the children of his first wife and also he cannot ask for a reduction in child maintenance due to he himself having caused the reason for the change in his financial circumstances. Your maintenance case is largely dependent on you proving that your child needs the requested amount. If you do not have proof, or cannot prove it, even if you show that the father can afford it, the court won’t order him to pay it. The court would only order him to pay what is fair and proved. Therefore, always ensure that you keep proof of your income and expenses up to date and ready to provide it to court. a) Section 7(1) of the Act provides that the court, when granting a decree of divorce, may in accordance with the written agreement between the parties, make an order with regard to the payment of maintenance by one spouse to the other. This is usually in the case where a settlement agreement is entered into between the parties prior to finalisation of the divorce. b) In terms of Section 7 (2) of the Act and in the absence of a written agreement (settlement agreement) the court may make an order which it finds just in respect of the payment of maintenance by the one spouse to the other by taking various factors into account. The court is required to consider the factors referred to in section 7(2) in order to decide, firstly whether maintenance is to be paid at all and, if so, the amount to be paid and the period for which maintenance is to be paid. It is significant to note that the word “may” is used in the Act. It is therefore clear that awarding post-divorce spousal maintenance is purely discretionary and there is therefore no automatic right to maintenance on divorce and a party who claims maintenance must prove that he or she is entitled to maintenance. In terms of Section 8 of the Act a maintenance order may at any time be varied, rescinded or suspended. “the court may, having regard to the existing or prospective means of each of the parties, their respective earning capacities, financial needs and obligations, the age of each of the parties, the duration of the marriage, the standard of living of the parties prior to the divorce, the conduct in so far as it may be relevant to the breakdown of the marriage, an order in terms of section 7 (3) and any other factor which in the opinion of the court should be taken into account, make an order which the court finds just in respect of the payment of maintenance by the one party to the other for any period until the death or remarriage of the party in whose favour the order is given, which ever event may first occur”. If one read the above section it is clear that the factors that a court will take into account when awarding maintenance is not exhaustive and the court has a very wide discretion whether or not to grant a maintenance and for how long maintenance must endure and the amount payable. Our Supreme Court of Appeal in the case of EH v SH 2012 (4) SA 164 (SCA) found that a person claiming maintenance must establish a need to be supported by the other spouse and that if no such need is established, it would not be “just” for a maintenance order to be issued. Therefore proving a need for maintenance is vital for obtaining maintenance. Our Supreme Court of Appeal also found that the fact that a spouse who is claiming maintenance post-divorce while living with another person is not necessarily barred to claim maintenance, however, if the spouse is being fully maintained by the other person with one he/she is living, he/she does not need maintenance from his or her former spouse after the divorce and such a claim will be dismissed. Factors that a court will consider when awarding post-divorce spousal maintenance. Section 7(2) of the Act deals with the factors that a court will take into consideration when awarding maintenance. These factors also come into play when maintenance is negotiated between the parties or during a mediation process which precedes the drafting of a settlement agreement between the parties. The existing or prospective means of the parties. The word “means” refers to a person’s financial resources. It includes not only capital assets but also income from employment and other sources as well as other sources to which a person has access which is not in his or her possession. In K v K 1986 (4) SA 616 (E) it was found that the parties “means” will include property such as a matrimonial home that can be used to generate income or as found in J v J (2004) 1 ALL SA 426 a trust that generates an income. “Means” does however not include a possible inheritance or voluntary payments to a spouse by his/her children from a previous marriage. It is very difficult to determine a person’s prospective means because this will largely depend on how the assets will be divided upon divorce. Therefore maintenance claims can only really be determined once the division of assets have been settled. The respective earning capacities of the parties. After the divorce, the parties should become economically independent of each other as soon as possible. Generally, our courts will always attempt to achieve a complete termination of financial dependence of one spouse on the other if the circumstances permit. This is called the clean-break principle. Where a woman is earning enough or has sufficient income from assets to support herself and maintain her standard of living, the court will generally be reluctant to award maintenance in her favour. A court will not award maintenance in cases where the woman is young, well qualified, has no children or no young children, has worked through all her married life and is in good health, and where the marriage was not of long duration. Where both spouses worked during the subsistence of the marriage their respective incomes must be taken into account to determine whether or not each party will be able to meet his/her own maintenance needs. The court will look at income from all sources, including tax credits, dividends and fringe benefits. In K v K if was held that the division of roles in families influences not only the past earning capacity of the parties, but also their future earning capacities. The judge in this case also made comment that the courts do not today distribute maintenance with any degree of liberality to woman who can and ought to work after divorce and that in our law no maintenance will be awarded to a woman who can support herself. A contrary view was taken in the matter P v P 1990 (1) SA 998 (E) where the judge warned that there is a vast difference between the situation where a woman is indeed able to maintain herself because she is in fact working or in fact has assets from which she can support herself and the situation where a notional earning capacity has to be attributed to her. A woman’s ability to earn an income does not by itself this entitle her to maintenance since the reasonableness of her decision not to work must be considered in light of factors such as age, state of health, qualifications, when she was last employed, the duration of the marriage, the standard of living of the parties during the marriage, and a commitment to the care of young children and others. This position was confirmed in the matter of K v K 2006 (6) SA 127 (C) where the court considered a wife’s decision to remain working only in a part-time capacity to be reasonable since this would be in the best interests of the children. The court also mentioned that when it considers the earning capacity of the parties, it must take note not only of the emancipation of women but also of the fact that the division of roles in families influence not only the past and incapacity of the parties but also the future earning capacity. The financial needs and obligations of the parties. In K v K 1986 (4) SA 616 (E) the court stated that this factor means how much money each party needs for their day-to-day living, and how much of the income or resources of each has to be spent for some obligatory purpose. In B v B 2009 (2) SA 421 (C) a case dealing with an application for interim maintenance for the wife and the parties two adult children who resided with a wife, the judge found that in having to use her household budget to run the family home and provide groceries for a 3 member household, the wife incurred an obligation within the meaning of section 7 (2) of the Act. What constitutes a need for a specific party will naturally depend on the standard of living of the couple during the marriage. What is considered to be a need in one family may be considered a luxury in another. A distinction must further be made between the parties’ needs and wants. It was held in N v N 1984 (2) SA 294 (C) that: ‘A proper weighing of all these factors is important to counter-balance the inherent immorality that could follow were the sole or even the main criterion for a claim for maintenance to be the plaintiff’s need or ability to maintain herself’. It was held further that: ‘Had the Legislature intended to preserve the common law and limit maintenance in accordance with a wife’s ability to maintain herself … the Divorce Act could encourage immorality in many ways. It could then be the middle-aged libertine’s charter of freedom. A man could throw out the woman who had shared his bed, ran his home, and reared his children, after twenty years or so, replacing her with something younger and prettier, and claim that his wife is not entitled to maintenance because during twenty years of minding his home and family she had also earned money outside that home … and could now that the children were off her hands work that much harder. On the other hand it would be equally unjust that an indigent woman unable to earn much money could marry a wealthy man, walk out of her wifely duties and try to use him as a meal-ticket for life … I can think of no reason why a blameless husband who has sacrificed his own career advancement and along with it income and pension benefits, in favour of his wife’s, should not be entitled to a contribution towards his maintenance from her, merely because he would not starve without’. Where a marriage is short-lived, it is normally easier for the spouses to cut all financial ties fairly quickly. Lengthy marriages are more complicated. In many cases, the stay-at-home housewife, because of her age and lack of work experience, will find it difficult to get back into the job market. A court will more likely rule in her favour, as they would for an older woman whose age makes it improbable that she will be able to further her career and improve her employment prospects. Age is also, therefore, a relevant factor in determining whether maintenance will be reasonable or not. A wife of long standing who has assisted her husband materially in building up his separate estate will be entitled to far more by way of maintenance than one who did no more for a few years. A court will look at the duration of the marriage, and the fact that the wife had not worked for most of the marriage and was not working at the time of the divorce, when it decides to award spousal maintenance or not. If a couple was married for, say, 20 years and the wife did not work in the open market but only fulfilled the role of housewife and mother, a court will likely award maintenance. It should be noted, however, that courts do not distribute maintenance with any degree of liberality to women who can and ought to work after divorce. The standard of living of the parties plays an important role when the court decides on the amount of maintenance that will be payable. Ideally, the standard of living of the parties should not decline after divorce. At best, maintenance should enable you to maintain your standard of living. The court will balance the needs of both parties and each case will be decided upon its own facts. Where money is no object there is no reason why a divorced wife and her children should not continue to enjoy the same standard of living as during the marriage. The court has a wide discretion and is not bound to refuse a wife’s claim for maintenance simply because she can support herself. If supporting herself means she will have a substantially lower standard of living, the court may award her maintenance. It will always depend on the facts and circumstances of the case and what the court considers to be just. In P v P 1990 (1) SA 998 (E) the court stated that: ‘a wife should, in my view, be able to expect the same standard of living that she had as a married woman. In most cases it may not be possible to achieve this goal, and of course a husband should be entitled to the same expectation, but in the final result it is a question of balancing up the needs of both parties and making an equitable distribution of the available income’. In MB v NB 2010 (3) SA 220 (GSJ) it was held that ‘the proper approach is to postulate that the parties should each continue, following divorce, to live in the style to which they have become accustomed for so long as this was permitted by the resources at their disposal. If, as so often happens, the capital and income are insufficient to meet this standard, then each should abate their requirements accordingly. In this limited sense the touchstone is subjective: The issue is not what people generally would regard as reasonable … but what the parties have come to depend on, subject always to the criterion of affordability’. The conduct of the parties in so far as it may be relevant to the breakdown of the marriage. Since divorce is no longer based on matrimonial fault, post-divorce spousal maintenance can no longer be considered a form of penalty for misconduct. Before the court will consider the conduct of the parties as far as it was relevant to the breakdown of the marriage, the court must first assess whether the conduct is indeed relevant. Adultery and desertion, for instance, might merely be symptoms and not causes of the marriage breakdown and, as such, although serious, may not be taken into consideration by the court. As far as the marriage is concerned, an overall picture must be formed. For instance, if a husband who was unable to work because of ill health, and whose wife supported him morally and financially for a number of years, becomes wealthy and disregards his wife after she has given him her best years, a court may well award spousal maintenance to her if it is proven that his gross misconduct caused the marriage breakdown. In such circumstances, a court will take the husband’s (mis)conduct into account. In G v G 1987 (1) SA 48 (C) for example the court viewed the husband persistent adultery as gross misconduct and stated that it must inevitably play no small part in deciding whether or not to award maintenance to the wife. The wife who had a professional qualification was awarded permanent maintenance. Domestic violence which contributed to the breakdown of the marriage, especially severe domestic violence, should also be taken into account as gross misconduct. 4. The way in which each party conveyed his or her financial position and needs. Once it has been established that espouses entitled to maintenance section 7 (2) of the Act will determine the amount and duration of the maintenance. A study in England of divorce cases indicates that maintenance orders usually range between 14% – 34% of the maintenance debtor’s income. There is however no formula in South Africa that one can use. The first step to determine the needs is to draft an income and expenditure for each of the parties. In cases where minor or dependent children have to be maintained by the divorcing parties it is impossible to calculate the parties monthly maintenance needs in isolation. Therefore one must include in the budget each party’s specific expenditure in respect of the children. 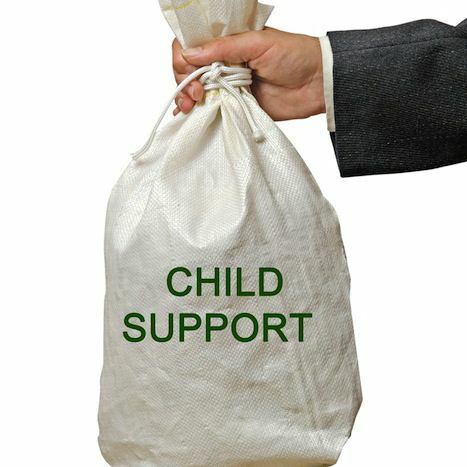 The spouse with whom the dependent children will reside will obviously have more expenses in respect of the children. As a rule of thumb certain household expenses which are incurred for the benefit of both the care-giving parent and the children, such as bond installments, water and electricity accounts, and groceries, should be shared by apportioning one part to very young children in two parts to each of the older children and to the particular spouse. For example, if the care giving parent has three children, aged 4, 12 and 22, that reside with him or her, the youngest child will be allocated 1/7 of such expenses and the older children and the parent 2/7 each. Other specific individual expenses which cannot be apportioned between family members, such as creche, school or university fees, the cost of extramural and/or recreational activities, club and professional membership fees should be allocated in full to the relevant child or spouse. Your child has a right to be properly maintained by both parents. If you do not take steps to enforce your child’s right to maintenance, you are denying your child a proper upbringing.